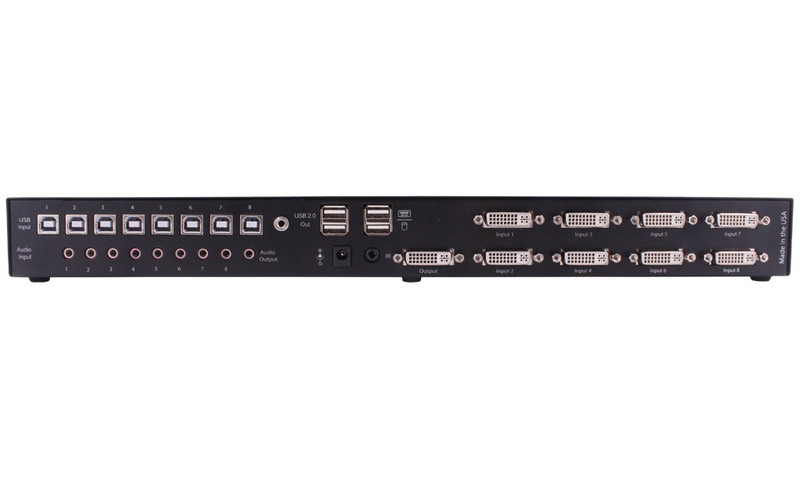 8-port KVM DVI-D video, USB 2.0, and stereo audio switch, for superior emulation on one display up to 20 feet away. 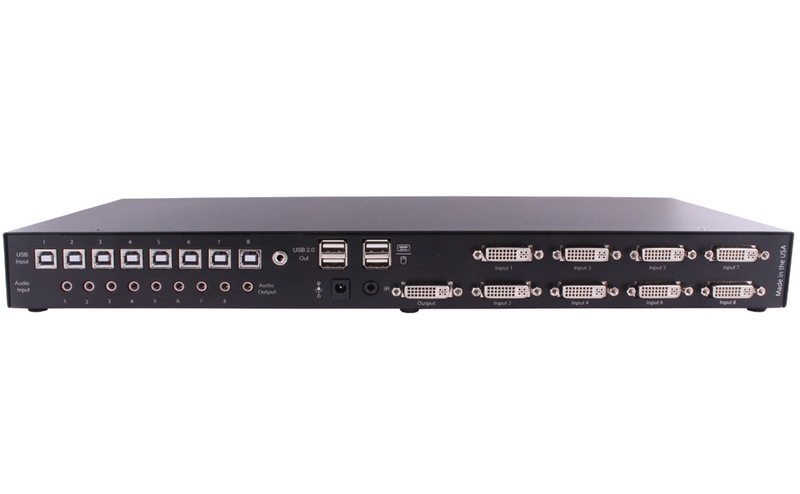 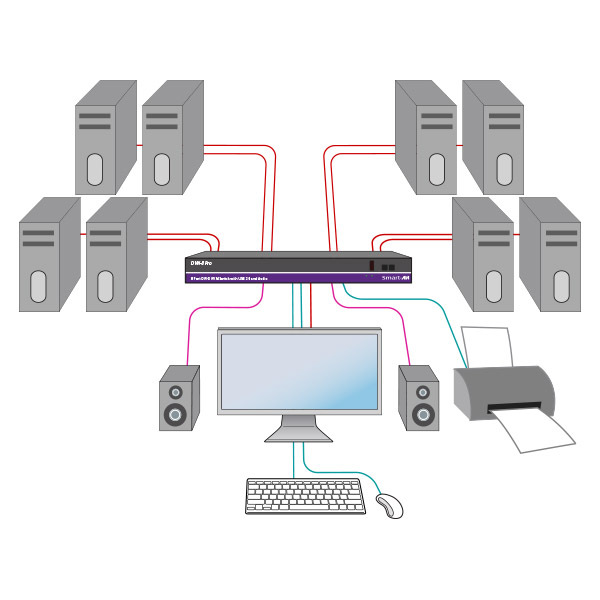 DVN-8Pro is a dedicated multi-platform KVM switch capable of managing up to 8 different computers through a DVI-D monitor, one USB keyboard & mouse, a single set of speakers and a USB 2.0 Device. 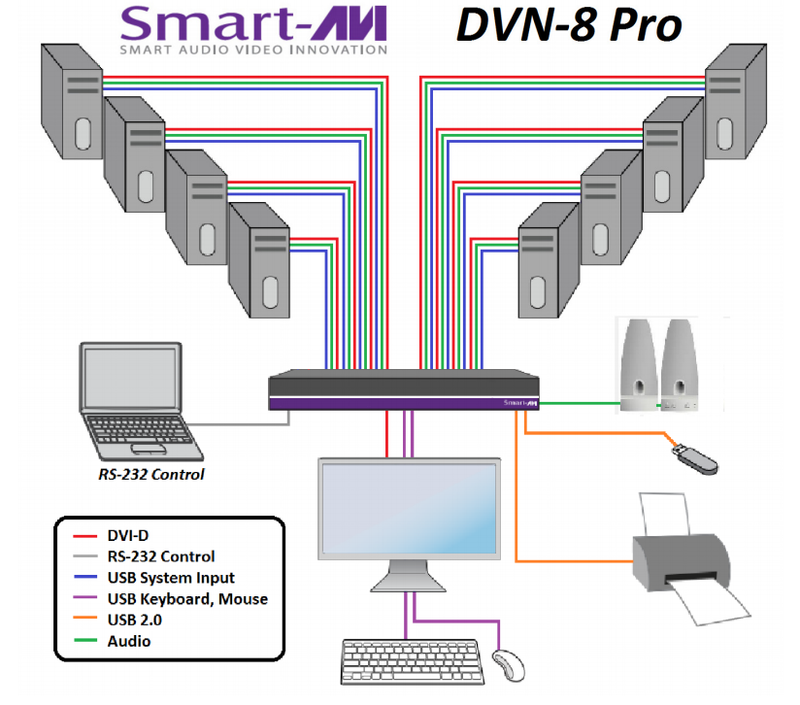 The USB emulation technology utilized by DVN-8Pro enables immediate hotkey source switching through a remote USB keyboard and mouse. 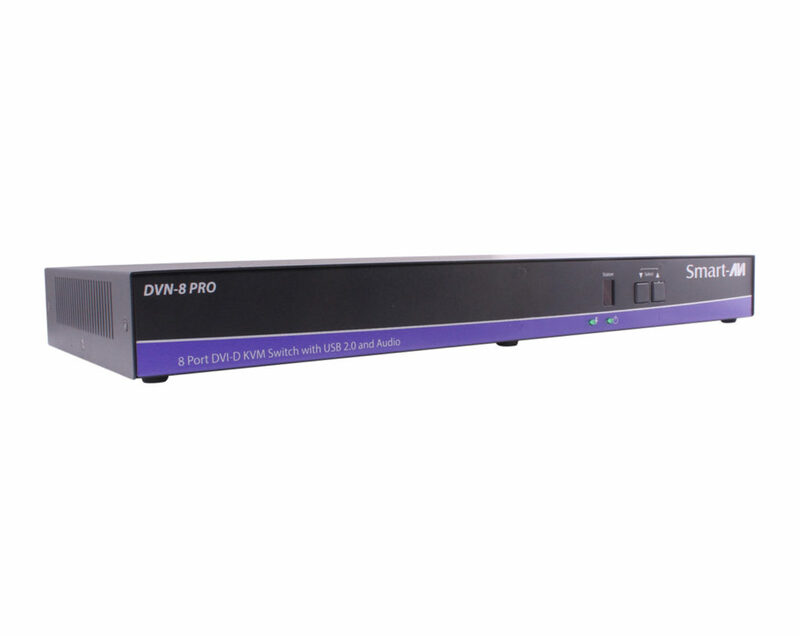 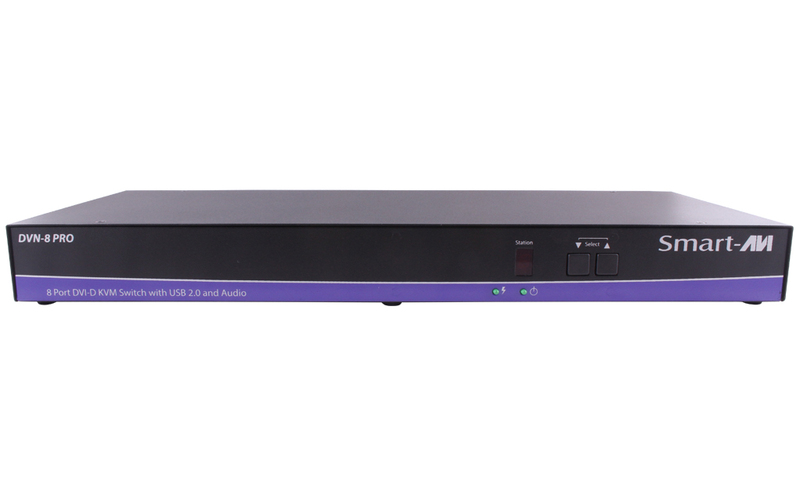 DVN-8Pro uses single link connectors providing high resolutions of up to 1920x1200 with zero pixel loss from TMDS signal correction.